Rutilated Quartz is clear or smoky quartz with inclusions of rutile crystals. Rutile is the mineral name for natural crystals of titanium dioxide which formed the delicate golden needles of rutile inside the quartz. Rutilated Quartz is found virtually everywhere on earth as it forms a total of 10% of our planets crust, but is most commonly mined in Australia, Brazil, Kazakhstan, Madagascar, Norway, Pakistan and the United States. 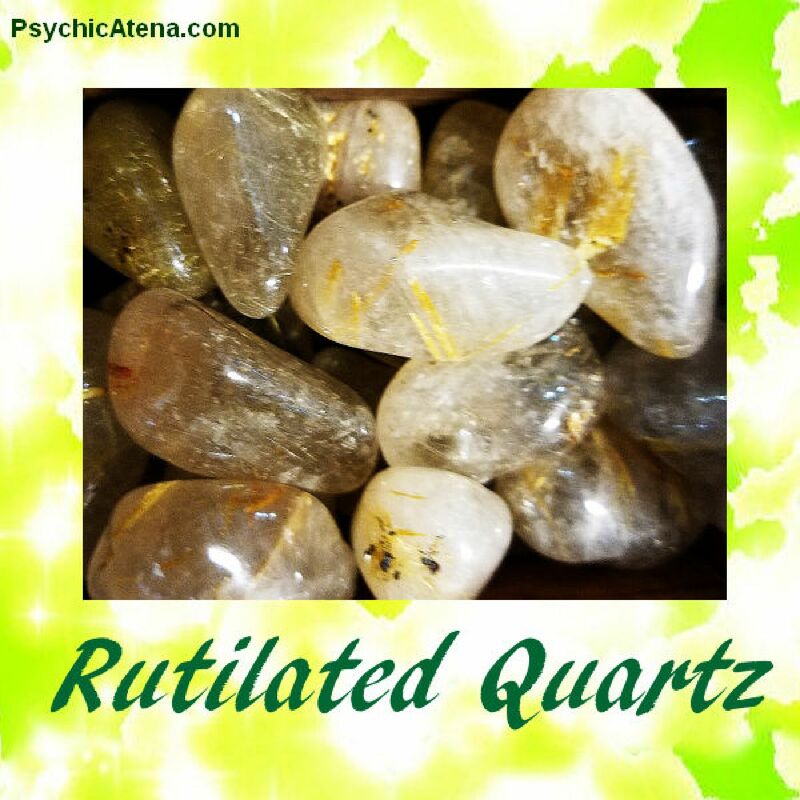 Rutilated Quartz is programable for attunement and aids in transformations through life. It is said to enhance one's understanding of difficult situations. It is also said to enhance creativity and to relieve depression and loneliness. Rutilated Quartz brings out creative thinking which makes it an excellent stone for creative problem solving and inventing. It can help move past writers block and stimulate deep and meaningful connection to ones higher self. Rutilated Quartz is known to enhance joy and re-ignite passion and help strengthen bonds and restore faith. Rutilated Quartz is an amplifier, hastening the effectiveness, strength and speed of manifesting ones desires. It helps connect the spirit to one's physical mind- connecting physical and spiritual worlds, merging them into one experience which aids in applying spiritual creative energies in the physical realm. Inspires amplification, acceleration, expanding awareness, joy, quickening and grounding manifestation.